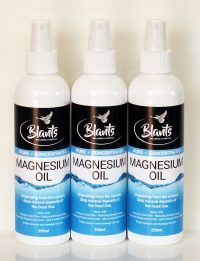 Blants Magnesium Oil topical spray is one of the most concentrated and pure mag oils you can buy, and is sourced independently so we can provide it to you at a very affordable price. Rest assured that there are no nasties in our spray – it is independently analysed to ensure quality. 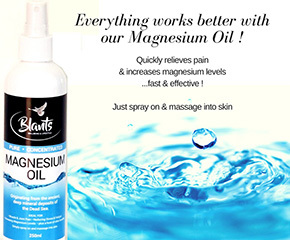 The continual positive feedback we receive from our customers about our Magnesium Oil is rewarding, and puts a smile on our dial to know that our customers are happy. Simply spray onto your skin and rub in well. One suggestion is to apply to the soles of your feet before bed time. You can also apply it directly to the part of your body that is sore or strained. Avoid contact with eyes and other sensitive areas. This is a concentrated oil, and it can tingle sensitive skin. This sensation usually diminishes after several uses. If not, you can dilute the mag oil with pure water; apply it with your moisturising cream; or even rinse it off after 20 minutes. You can also add your magnesium spray to your bath or foot soak. 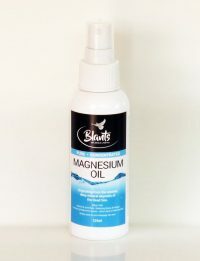 Our Magnesium Oil 250ml bottle is great value and tends to last, with daily use, for several months. 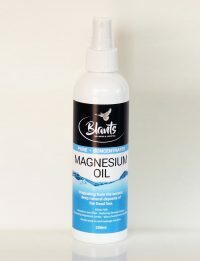 Our Magnesium Oil 125ml bottle is ideal for traveling, to help with sleep and fight jetlag, or for popping in your gym bag for on the spot relief from cramps and sprains. Our Magnesium Oil 3 pack offers amazing value – everyone in the family can have their own bottle by their bed! !